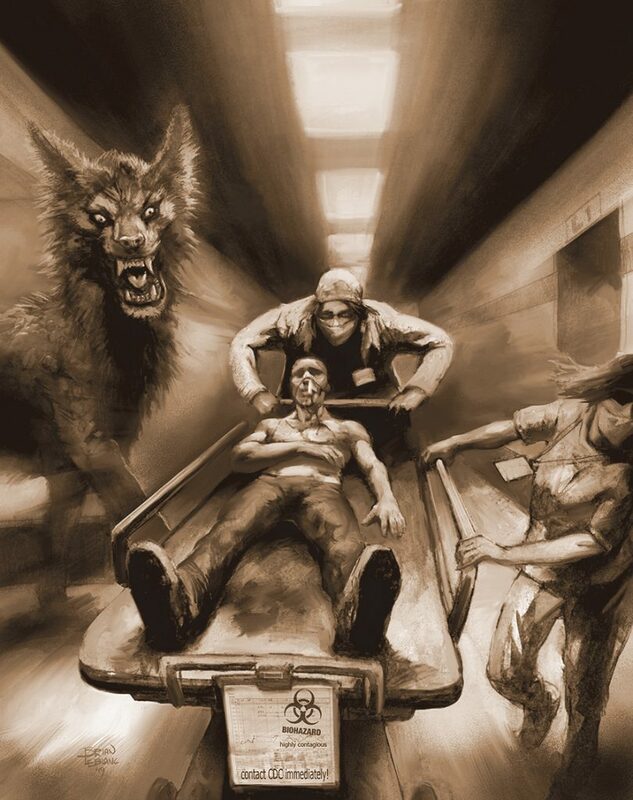 Next week, we’ll be starting our Kickstarter for the Contagion Chronicle, which is a crossover chronicle featuring all of the game lines for Chronicles of Darkness. Like all of our Kickstarter campaigns, you’ll be hearing a lot about this in the weeks to come, so I figured that this week, I’ll just go a little into how we came up with the idea to begin with. We have received, over the years, many requests for crossover rules for the Chronicles of Darkness. Which makes sense, as CofD, unlike its predecessor, the World of Darkness, was created with the idea that all the game lines would have a similar, if not the same, rules set. I’m not talking about the Storyteller and Storytelling Systems which are the rules for rolling dice, but the individual game line rules sets, like Disciplines, Gifts, cosmology, those sorts of things. With folks asking for crossover rules and tips, I suggested to our crew here that a crossover book would be something that could also be really helpful in providing new content for game lines that we were putting out less projects for that year. Pretty much the same thinking as the Dark Eras books. I wound up talking with Matthew Dawkins at the Vampire convention in New Orleans – the same one where we agreed on the deal for They Came From Beneath the Sea! – and he made the point that a whoppin’ book of pure rules with a bit of advice wouldn’t necessarily be as much fun as a crossover book that featured a setting where those rules and that advice could be seen in action. This tied in with my thinking on adding default Chronicles to each of the 2nd Edition CofD lines: provide an example that people could either use wholecloth or could take pieces of or just be inspired by for their own Chronicles. Fun to read, and examples of how a Chronicle could work. So this crossover Chronicle would be the prime example of how to use all the various supernatural character types and their cultures in one big setting match up, usable as written and usable as examples and overall, no matter what, fun to read. Matthew went off and came up with an external threat; something not featured in any of our previous material, but which could be part of any of our CofD game lines. 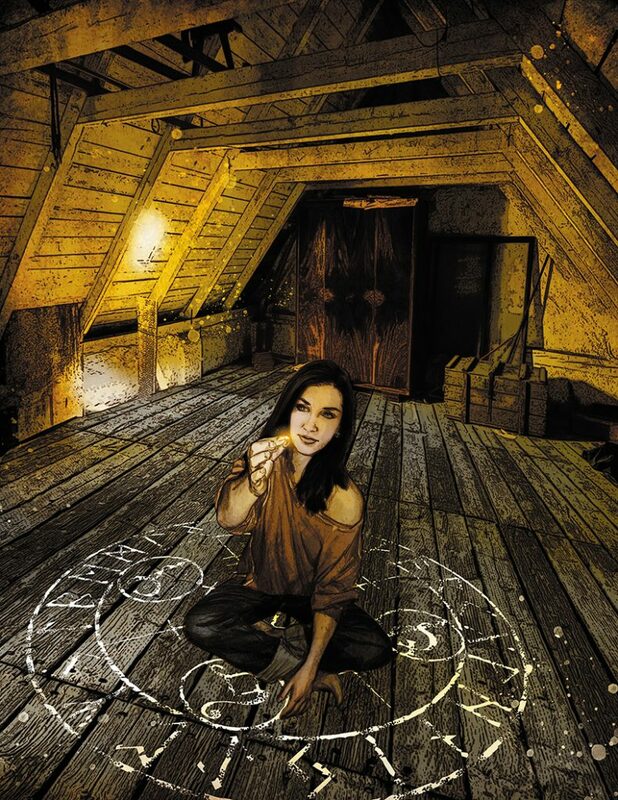 Something that threatened the supernatural world so much that the various denizens would have reasons to ally themselves – no matter how treacherously – to deal with it. And so the Contagion was born. We’re all really excited by this project as we’ve never really done anything like this before. 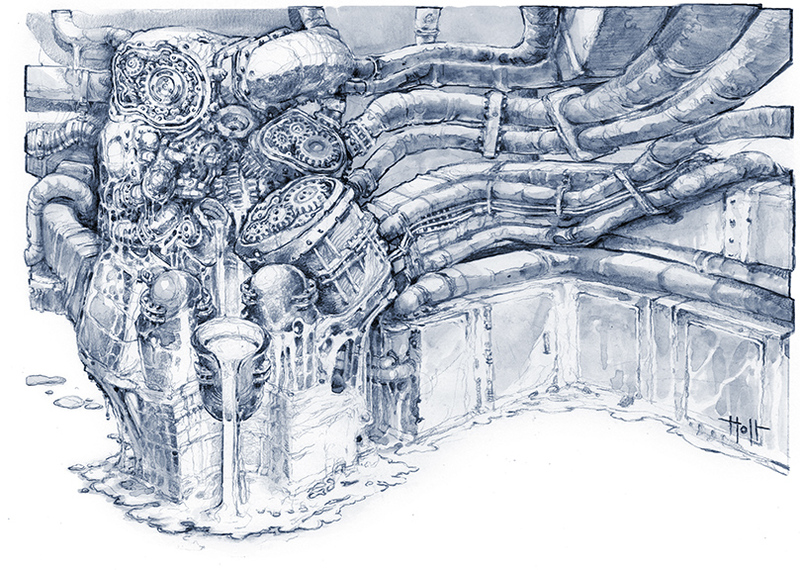 It’s a discrete Chronicle, but it’s appropriate for all of our CofD game lines, and as a way to illustrate how something can be built that encompasses all of a setting no matter how disjointed, I think it will be handy for other game settings as well. I also want to call out last Friday’s Onyx Pathcast where the Titanic Trio take turns “selling” different game lines of ours. It is probably the most energized and fun recording that they’ve done. Something about the timed, short, pitches just seems to bring out the best in the three of them. Next week on Tuesday March 26th, we will be starting the Contagion Chronicle Kickstarter at 2pm Eastern US time! 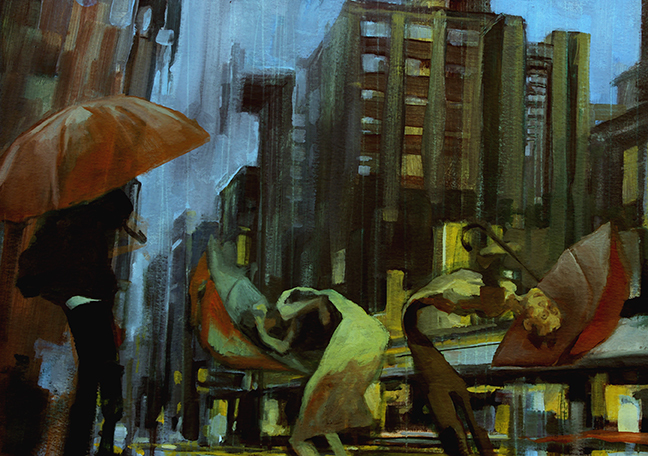 This week in Onyx Path News with the ever-present Gentleman Gamer, Matthew Dawkins! We’d be fools not to promote the excellent Devil’s Luck Gaming, as they’ve reached episode four of their Scarred Lands actual play: https://www.twitch.tv/DEVILSLUCKGAMING Their costumes really add to the roleplay! Don’t forget to get in touch with any of your actual plays, interviews, and reviews of our games! We’re always happy to promote them. 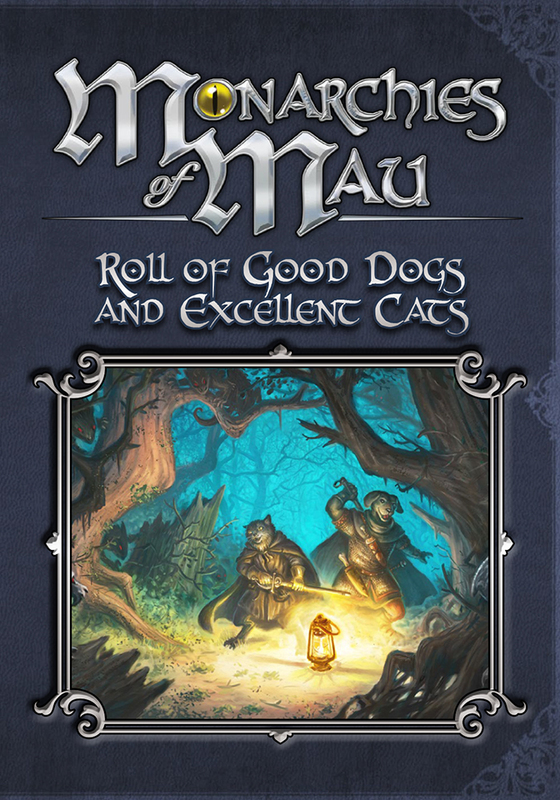 This Wednesday, we’re yipping and purring to offer the Roll of Good Dogs and Excellent Cats, characters for Pugmire and Monarchies of Mau, in PDF and physical book PoD versions on DTRPG! Shunned By the Moon – Final finals coming in. Scion Hero – Printing. PoD proof ordered. Pugmire Roll of Good Dogs and Cats – PDF and PoD versions on sale this Wednesday! St. Patty’s Day or St. Paddy’s Day! Either way, we just had it Sunday, and while my celebration mostly takes the form of corned beef, cabbage, and green-dyed Birch Beer these days, once upon a time it was the old White Wolf tradition to meet for brunch and line up at the local Irish Pub to get in there as they opened and spend the rest of the day there drinking (or not) and having fun. It was a grand tradition of fellowship, and so here’s to the old gang! ◀ Episode 43: Let Us Sell You On Some Games! Dear Richter may I know if this kickstarter will include the full tecmxt of the book like lunars did? Yes, we’ll be providing the finished text as updates to backers during the KS as we’ve been doing with most of our latest KSs. No worries! Like all Chronicles kickstarters, I’ll for sure be giving this one my money. I very much hope that some day Onyx Path will fire off some splat-themed dice, and think that a cross-over book would be a great kickstarter to kick (hah) that off in, though I imagine it would have been mentioned at some point already. Sadly I haven’t seen much movement from Heirs for a significant span. Don’t suppose it’s close to reaching the next tier? We’re not going to go into the stages and estimate time within them anymore than it’s a good idea to give estimates of final releases. You get into that and we’re going down the same road of “When?” that we’ve stepped away from. Thanks for understanding. So yeah… I wasn’t at all excited for this Contagion Chronicle project. Its story and, you know, reason for being – as far as my not-paying-much-attention head understood it – didn’t appeal at all. Then? I read this post, and now I’m EXCITED for Contagion Chronicle! It’s partly a “shouldn’t lose faith in Onyx Path” thing, but it’s MORE related to how well y’all live your brand. Many worlds (or many chronicles, as the case may be), but still one rad path. Glad to hear it! Getting more info out there about what the project is really all about is a huge reason why I like to start pre-KS and go through our thinking before the project showed up in the progress reports. A bit of context before we dive into the actual text with the KS, as it were. In redlines, right above legendlore, I see a blank spot. Is this just me? What should I see there? There’s nothing there you are missing. It’s a glitch in the new WordPress setup and not something I’ve found a way to eliminate. I can’t even see it in the “page construction” mode I use to put together the blog each week. I’ve recently resumed planning for a Geist 2nd Edition Chronicle. I’m eager for the physical book. Been waiting patiently but its finally here and so very close. the chronicle I am running at the moment involves a Mage, a Lost boy, a group of Geists, a pack of werewolves, 2 Beasts, and an Ordo Dracul Vampire running a school for gifted mortals as an experiment on how to breed better vampires. Surprisingly, it has not imploded under its own systemic weight. I NEED THE CONTAGION CHRONICLES IN MA LIFE. While we do layout proofing between the graphic designer and the dev (or dev team) before we offer a PDF to the public, there is an additional stage after the first, the Advance, PDF goes up where we review and implement errata and there is some proofing there and then proofing of the PoD proofs from the printer. So proofing; it’s a general term for reviewing the project and looking for things that need changing at whatever stage it is in. I’m curious about the fact that the new Scarred Lands title and the first Creature Collection are only listed for 5e. Is this specifically because Pathfinder is moving soon into its second edition ruleset, or is the Scarred Lands going to remain exclusive to 5e going forward? We’ll need to see how Pathfinder 2e shakes out. Given the options of putting all the time and effort into creating what is effectively a whole ‘nother book, it really doesn’t make sense to do them for PF1 and have them barely sell, or wait to do them for PF2 and delay projects that we know have an audience of 5e players right now. And it’s good for all Scarred Lands fans if the absolutely gigantic and growing 5e audience is made aware of SL right now while people are discovering and digging into D&D in numbers we haven’t seen in years and years. I agree that making books for 1st Ed would be pointless now. I’m glad to hear that the possibility of having Scarred Lands in 2e Pathfinder is still open. Scarred Lands is one of my favorite fantasy campaign settings and I was really looking forward to seeing it intereted through one of my favorite systems as well. I’ll just keep my eyes out after 2e prints, then. Noticing that the Scion Hero and Origin books are at print… does that mean a pdf of the post eratta soon? Been waiting weeks while in print/proof stage? We use the PoD proofing as our final chance to catch errors, so once they are confirmed as OK, the final PDFs should be good to go. Is there any plans when Trinity Core/Aeon will be available for non-backers? Based on the Backerkit, print will hit the stores in October, but…what about pdf-s? For non-backers, the PDFs will be made available with the PoDs on DTRPG. Summer-ish seems likely for the KS, but we’ll have to see. We’ll also have to see how James sets up any bundles. Thanks for the answer. And those Aeon PDF-s..when will they be available at DTRPG? October as well? I wouldn’t look to Kickstarter estimates as guides for when things will come out. Keep an eye on our weekly progress reports and you’ll see them as they near release. I am getting eager for Geist 2nd ed. Any idea when proofing will be done? A massive CoD Crossover!!??? I hope we’ll be able to obtain core rule-books as an add-on (or maybe an “all in one” pledge level), so that I can get any lines I’m missing for this! A release for Fantasy Grounds, (including base rule-sets), would be appreciated as a stretch goal. (I’m just allowing online play of the game similar to what Geek and Sundry and others are doing would be a plus…. ), as an alternative, PLEASE allow community content creation of material in Fantasy Grounds and other VTT’s. Awaiting the moment this goes live (10 days and counting). Oh, wow…is the thing with The Gentleman Gamer new? I do not recall seeing before this update. I have actually been doing videos talking about Mage and Werewolf as part of my general tabletop games channel..I will definitely be reaching out to him when I am at my own computer later. 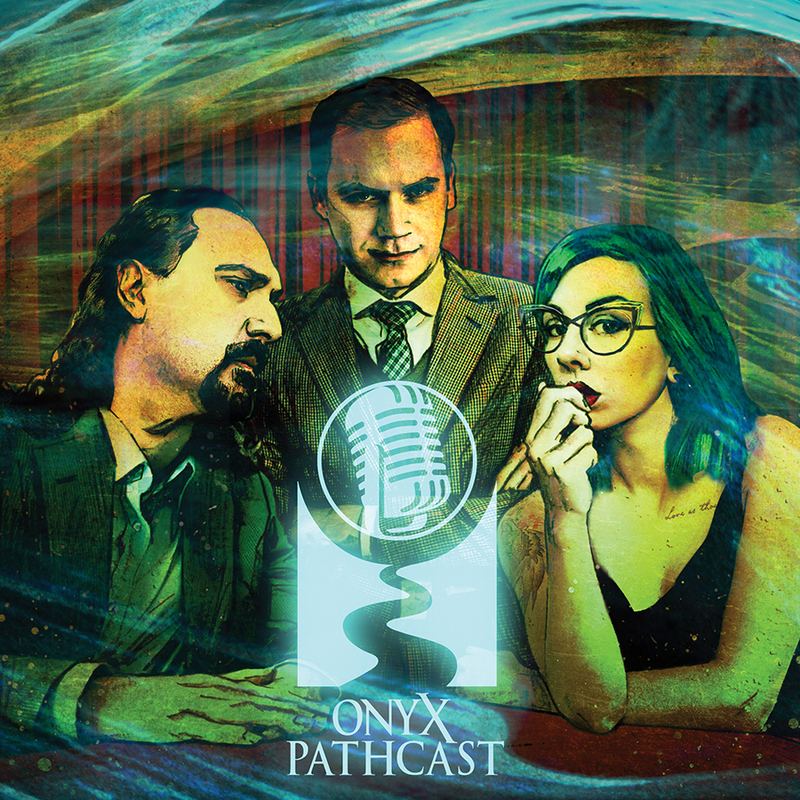 You can check previous Monday Meeting Notes blogs to catch up on previous links and check out the Onyx Path Youtube channel to browse our various news and actual play and deep dives into our games. We can’t send the backer PDF to backers until it’s done. Proofing is part of getting it done. No worries, it’s coming.